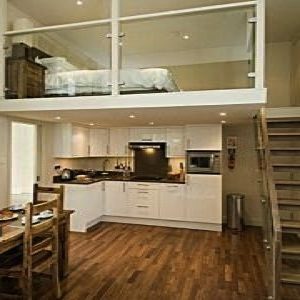 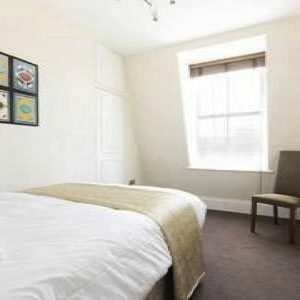 The apartment offers two bedrooms, sleeping two people in each room. 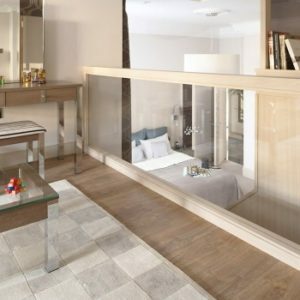 There is also a sofa bed which sleeps two, allowing for six people to use the apartment without sacrificing privacy or space. 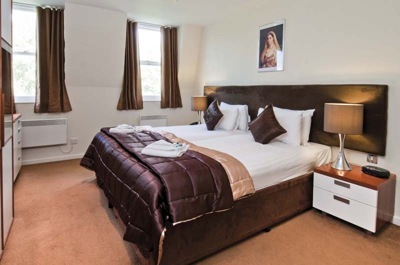 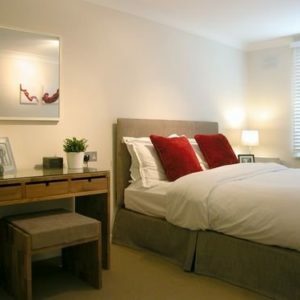 Depending on your need, you can request a double bed or twin beds in the second bedroom. 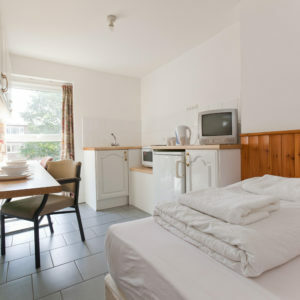 Of course, as with all the other units at Grand Plaza, the apartment has all the amenities and features you expect, including a TV, fully equipped kitchenette, dishwasher and Internet access. 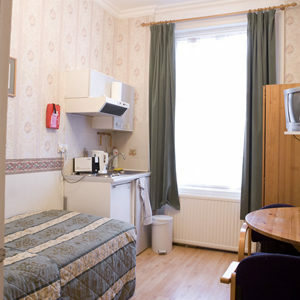 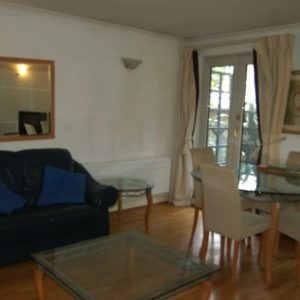 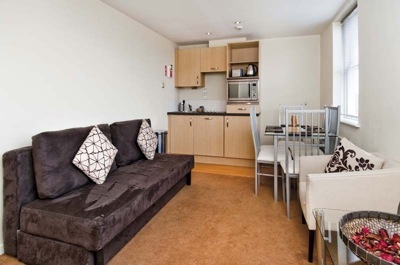 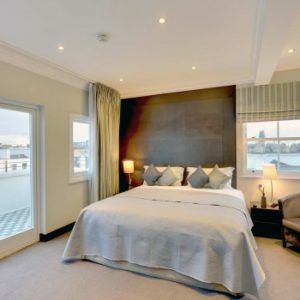 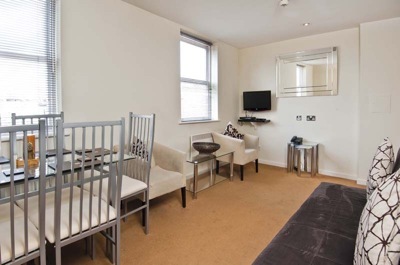 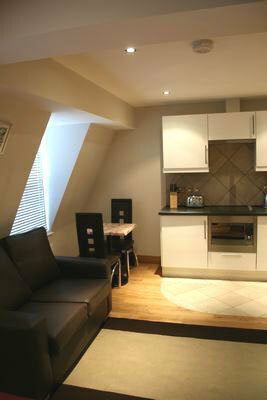 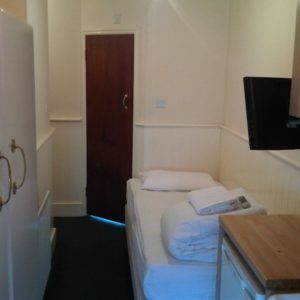 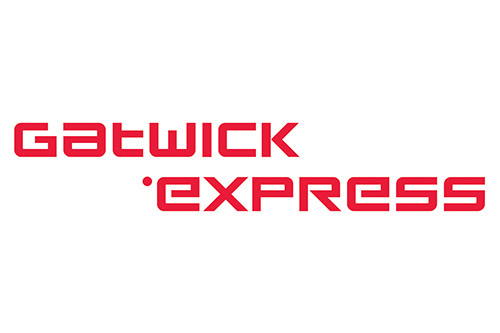 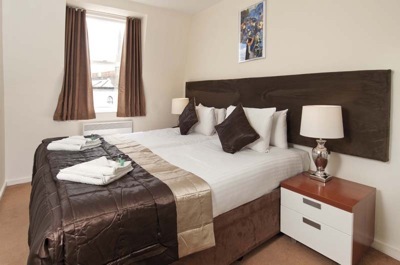 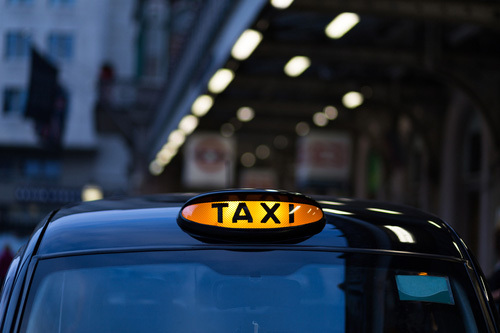 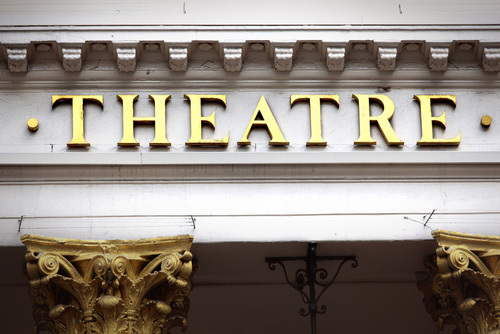 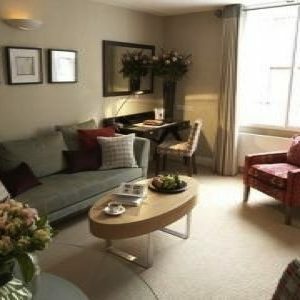 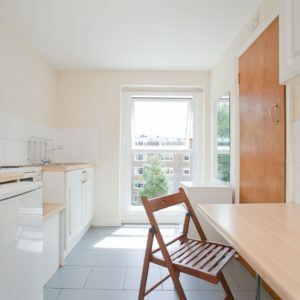 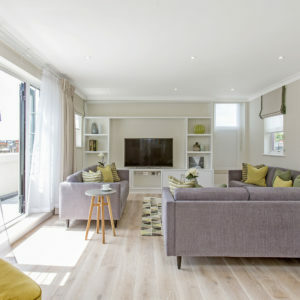 Guests can also enjoy the other facilities, as well as the convenient central London location. 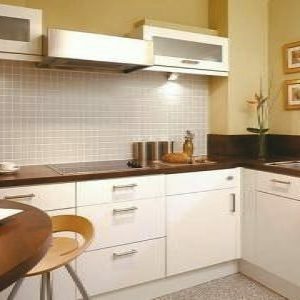 Grand Plaza Two Bedroom Apartments are bright, spacious, and considering the numerous attractions and amenities nearby, surprisingly affordable. 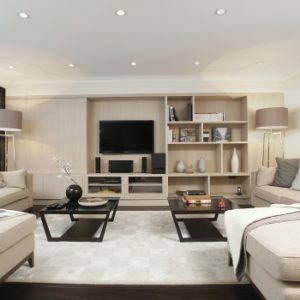 The decor marries contemporary style with a comfortable and homey feel. 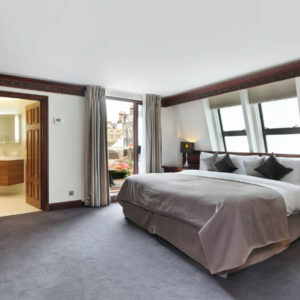 From style and comfort to location and affordability, the Grand plaza Apartments provide the perfect base from which to explore London’s historic beauty.